Cakes & More: Indian Food Bloggers Meet 2014 - Are You Going To Be There? 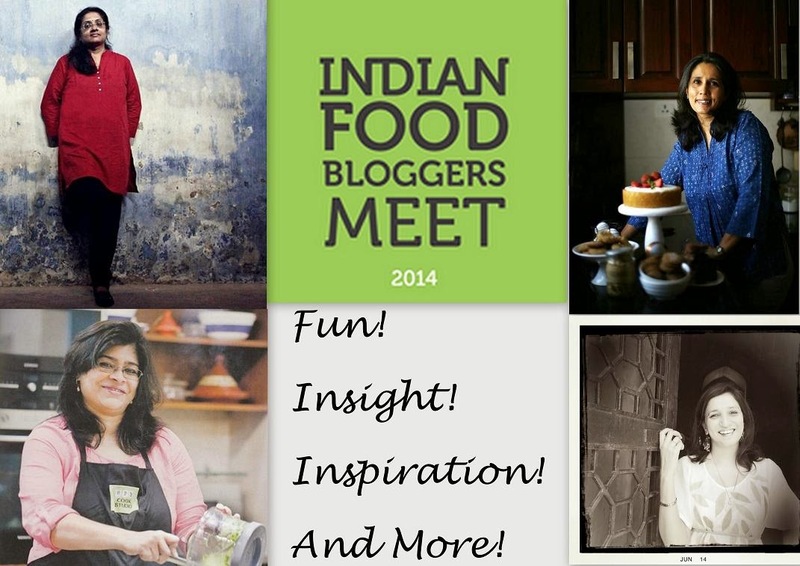 Indian Food Bloggers Meet 2014 - Are You Going To Be There? Appreciating good food is one thing, blogging about it another. If you had told me 5 years ago that baking would turn out to be such a big part of my life, I would probably have laughed! Today, I take my baking and blogging quite seriously. Same goes with an entire population of equally or more passionate food bloggers across the globe. One thing we all share in common apart from the love for food is sharing our culinary experiences via blogs. Thanks to social media, we 'know' people before we actually meet them. But its always fun to get together and spend time with like-minded people. In this case, people who consider near obsession with food and blogs perfectly normal! Blogging undoubtedly is a high in itself for me, but there undeniably is the urge to do better in every aspect of it. Photography, food styling, promotion, blog reach to name just a few. The Indian Food Bloggers Meet being organized by team IFBM is a great opportunity to meet and interact with food bloggers from all over the country. And also a chance to be part of some interesting, insightful and fun sessions! Here, we will meet people who started out as food bloggers but have a lot more accomplishments to their credit. If you nurture a secret dream to do more than just blog, this interactive event could well be that push you need! Here is a peek into the events lined up at The IFBM 2014. Food Styling : Apart from a wealth of baking recipes, Passionate About Baking to many of us is synonymous to utterly gorgeous pictures and superb food styling. 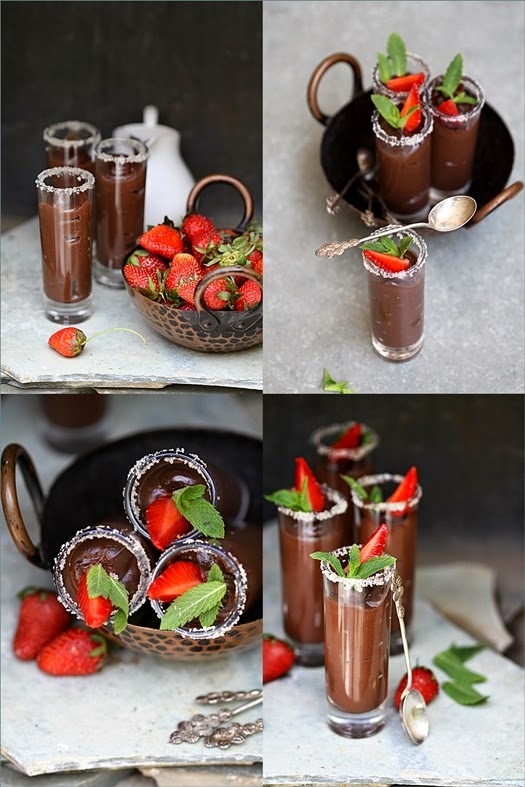 Deeba Rajpal will share some of her tips in an exclusive session devoted to food styling - hopefully some of your magic will rub off on me Deeba! Food Photography : From someone totally uninitiated to someone who wrote an excellent series on food photography for beginners, Aparna Balasubramanian is truly an inspiration! For those of us (including me) who find using a DSLR intimidating, she demystifies photography and the jargon accompanying it. Pictures good enough to make your readers want to 'eat the food off the screen' is something all food bloggers aspire for. Here is your chance to pick up some useful tips and tricks of the trade in this session! How To Use Social Media : As food bloggers, we are aware of the kind of time and effort that goes into writing a blog. Good content not withstanding, reach is always a challenge. Promoting your work, building a following, being heard by the right people goes a long way in achieving this. 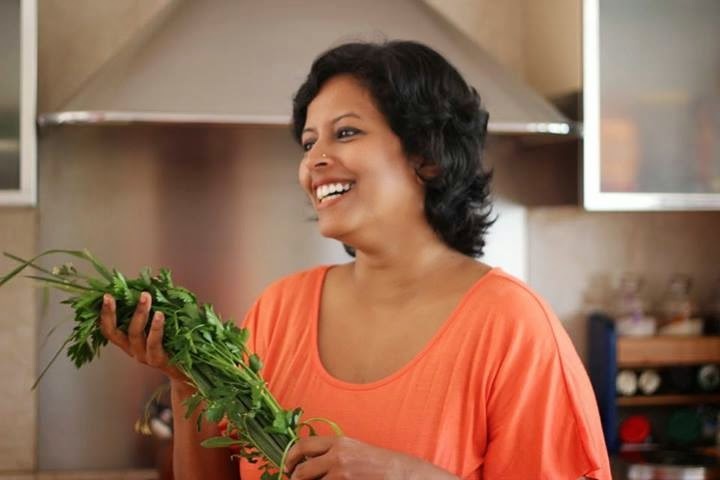 Nandita Iyer, blogger since 2006, food writer and culinary trainer, needs no introduction. Extremely active on social media platforms, she will give us useful insight into why social media is important and how to build a follower base among other things. Best thing - she will also outline a basic social media plan for your blog! Secrets of SEO : Search Engine Optimization! How do you increase the chances of a search engine finding YOUR blog during a search? I can't tell you the number of times I think about working on this but give up as its too technical and complicated for me. Ashish Verma, digital strategist and consultant, will speak on making blogs more reachable, brand imaging and positioning among internet audience. Food Writing : Rushina Munshaw-Ghildiyal well known author, food writer and food consultant is also one of India's first food bloggers. Her APB Cook Studio is India's first home cooking studio. She recently published her first cook book A Pinch of This, A Handful of That. Rushina also conducts cooking and food writing workshops. And to think her blog was the beginning of all this! She will conduct a session on food writing, a skill imperative to good blogging. Going Beyond The Blog : You are no stranger to Sunshine Mom's stunning photographs and vegan recipes on Tongue Ticklers! A government employee, she aspires to get into professional food photography soon! 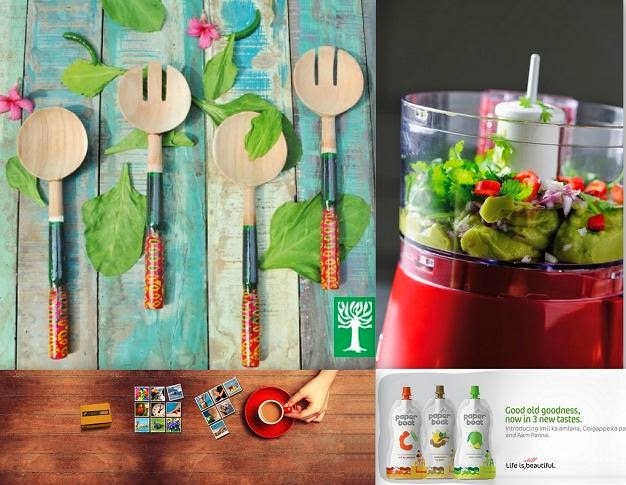 On board will also be Sanjeeta Krishna Kumar and The Tadka Girls, Ruchira Ramanujam and Ranjini Rao Debnath who have published 2 successful cook books. They are bloggers who have successfully taken their passion beyond the virtual boundaries of their blogs. You never know, you might just get inspired to take your passion to the next level too! Publishing your cook book : Not an uncommon dream if you write a food blog. Many of us may be waiting to do this, but then its too much work and hassle for the idea to translate into a hard copy. Aparna Jain, author of The Sood family CookBook will speak about self-publishing your cook book. And Then Some!! If you appreciate your wine, you will enjoy this session on wine pairing by Aneesh Bhasin from Hipcask.. Spice Sorcery by Husna Rahman will be launched by Harper Collins at the meet. Kitchen Aid Master class : Kitchen Aid is more than just the gorgeous stand mixers we all have been eying since ages! Watch out for an exclusive masterclass which will showcase three of their leading appliances. Goodie Bag! As they have aptly put it, what's a party without a goodie bag? Paper Boat, Soulful, Cremica, Picgravy, Freedom Tree and Harpen Collins will play our Santa in August ! That's one generous goodie bag I would say! With so much happening, you wouldn't want to miss the event! This meet will be the first of the kind I would be attending, am so looking forward to1st and 2nd August! Smoke House Deli, Indiranagar, Bangalore, beckons with the grub I have heard much about. Do stop by here for registration and more details about the event. Thanks Aparna, Nandita, Arundati and Revathi Upadhya for this commendable effort! For some much needed insight, fun and inspiration, am going to be there! What fun !!!! Wish I could make it ! Enjoy your session there Suma ! Thank you for this wonderful post Suma. The excitement is definitely building and we are so looking forward to meeting everyone in Bangalore. Suma, you are an inspiration yourself! I would love to meet up with you as much as attending all these exciting talks at the event. Wouldn't it be so much fun to meet all of those wonderful bloggers whom we have only known through what they present us? Looking forward to meet you too.